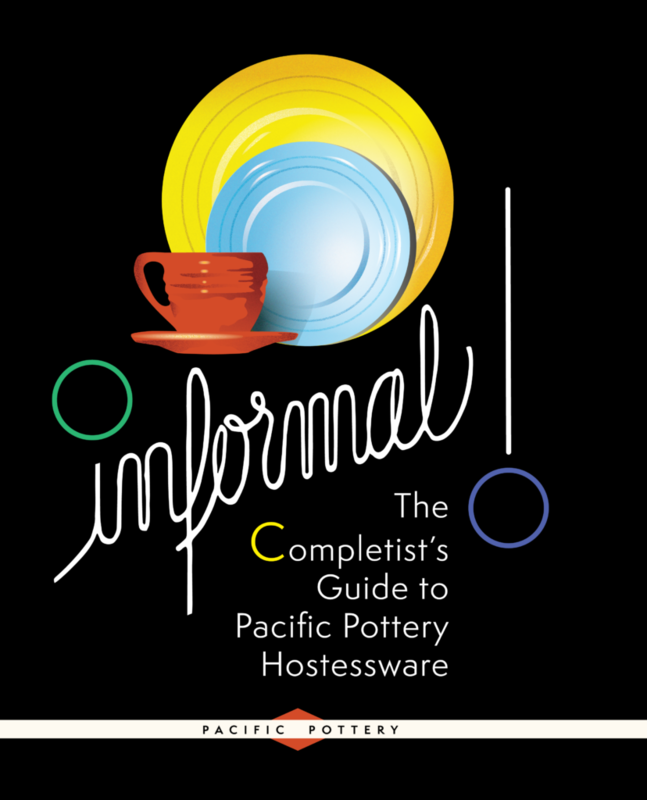 Welcome to Pacific Pottery Informal!, the most complete guide on Pacific Pottery Hostessware. Relatively little is known about Pacific’s Pottery Division. No historical company records are available, and almost everyone associated with the company during the 1930s is long gone. We don’t know who definitively designed Hostessware, and very little about the people that worked for the company during that time. What information is available has been captured from passed down conversations, a few company wholesale brochures, advertising pieces, news articles, and company annual reports. But the most relevant information has perhaps been gleaned from years of patient collecting and analyzing and comparing to put together a reasonable timeline of production, manufacture and distribution. Those insights and observations are included in this guide. Informal! provides the most comprehensive view of Pacific Pottery’s iconic Hostessware dinnerware through the 1930s. Drawing on my personal collection of more than 2,500 pieces, I’ve connected the dots to bring you a virtually complete view of the entire line. The 100+ page book is full of photographs, painstakingly reproduced graphic designs, and original advertising pieces. Get your copy of Informal! The Completist’s Guide to Pacific Pottery Hostessware on Blurb.